The smallest Target mod to date, Vaporesso made sure to maintain the flagship ergonomic trigger shape of the unit when designing the Target Mini. Integrated with an internal 1400mAh lithium cell, this unit can be charged via the micro USB port. Although small, this mini Target will push out a maximum 40 watts of pure power as well as various temperature control settings to tend to your specific vaping needs. 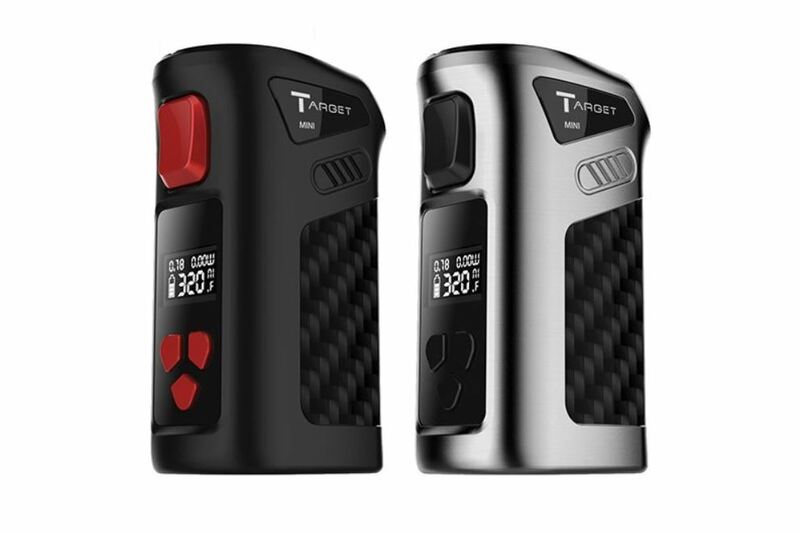 The Target Mini maintains the same classic design of Target series mod, while smaller in size. It adopts dual child locking mechanism that prevents children from accidental open the tank and get contact with the e-liquid inside. The Target Mini is also a combination of Direct to Lung and Mouth to Lung settings. Built with CCELL ceramic coil inside, it is guaranteed to deliver the most original flavor of your e-liquid. With 40 watts of maximum output and a built in battery of 1400mAh, the Target Mini will be favorite day to day mod. Target Mini is truly small yet more than enough for your vaping experience.